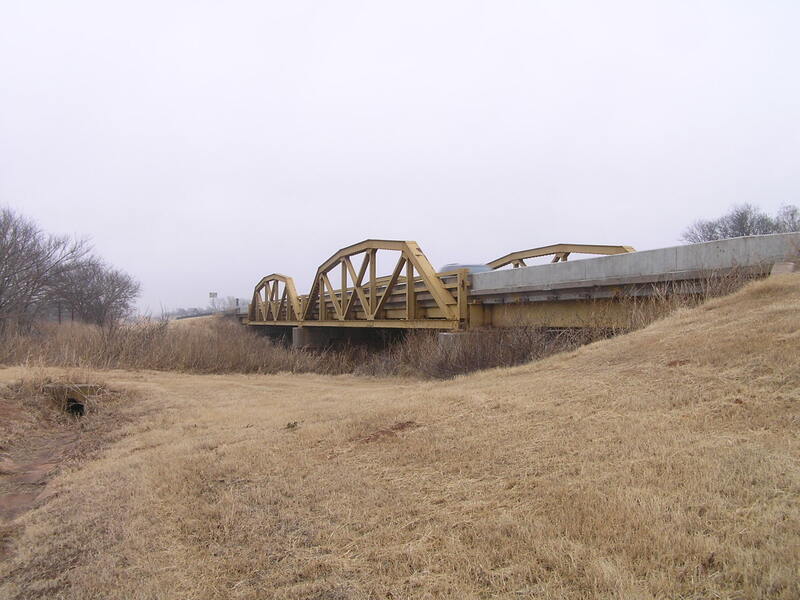 Built in 1937 by E. E. Barber & Co., this bridge consists of two 100-foot long Parker pony truss spans and steel stringer approaches giving a total length of 306 feet. 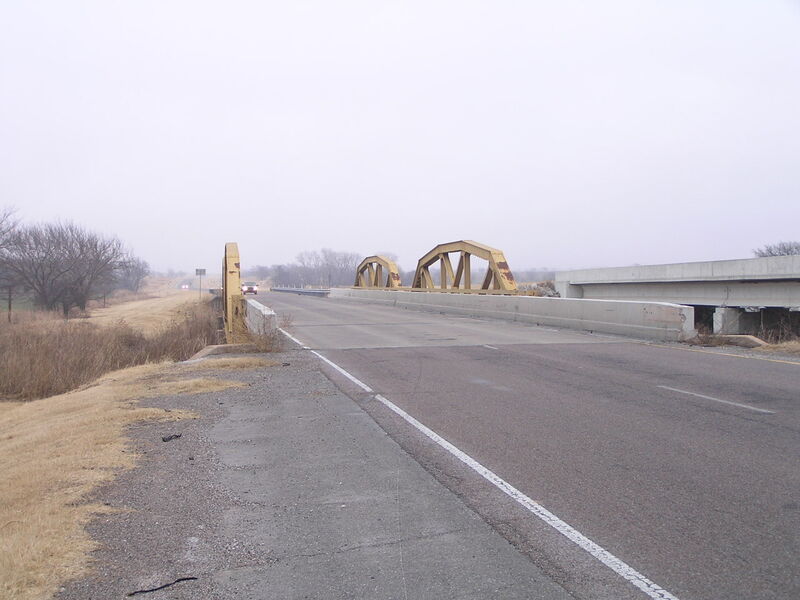 The bridge stands just east of Pumpkin Center between Lawton and Duncan. Above, a view thru the bridge. 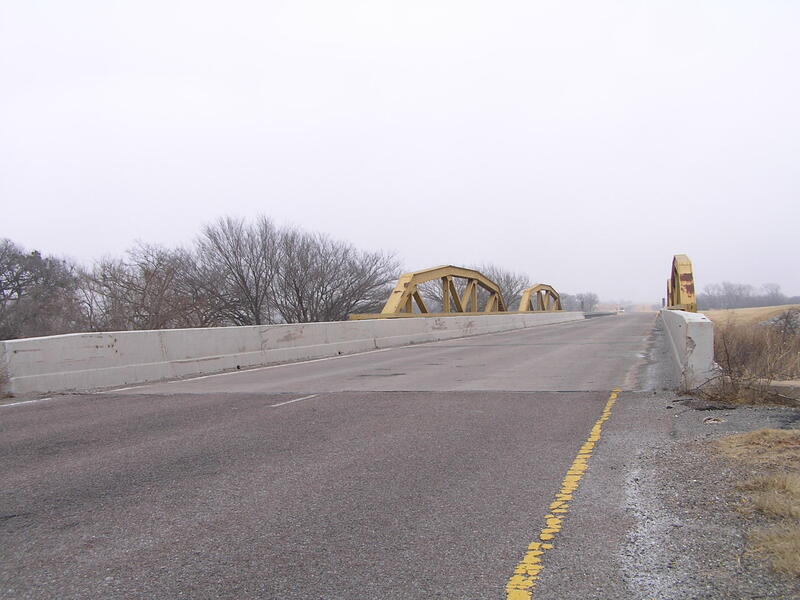 As you can see, the bridge has been redecked, and features a new-style monolithic concrete barrier railing on all spans. Below, a side view of one of the truss spans. 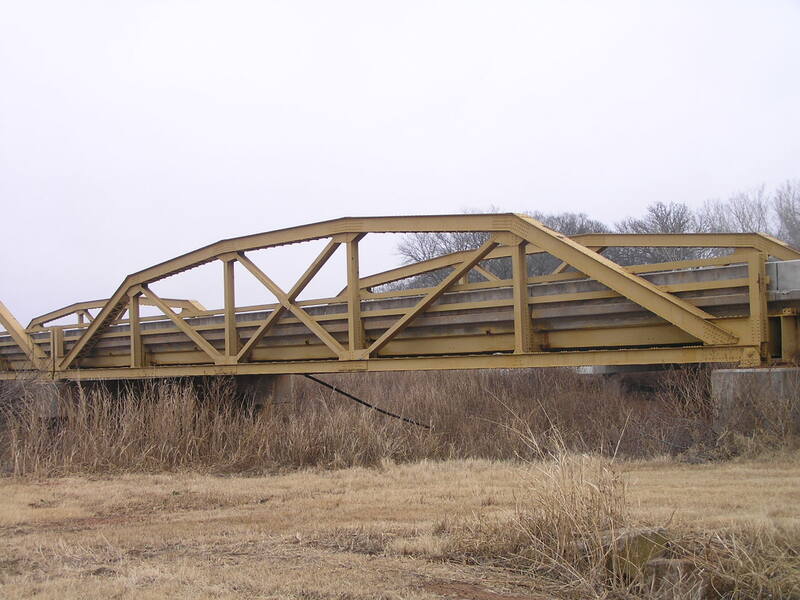 These are the venerable state-standard Parker pony truss, a type used throughout Oklahoma in the truss era. 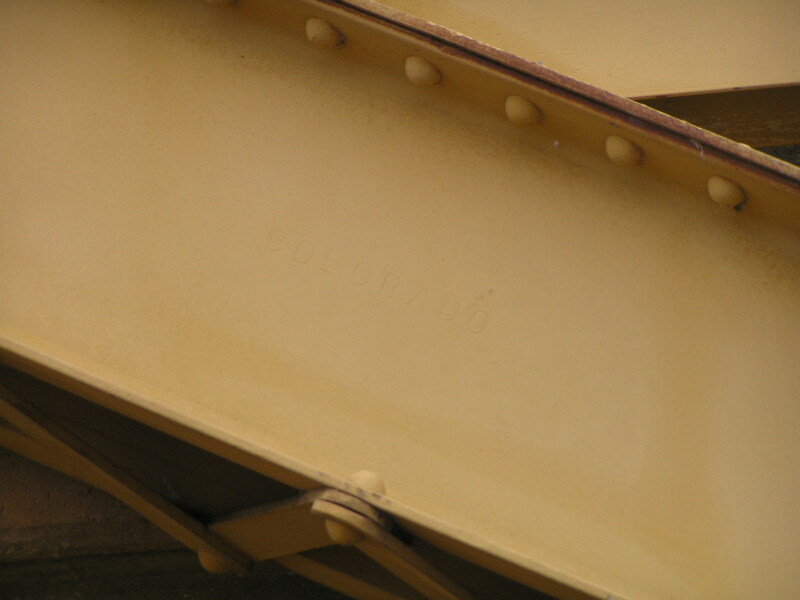 Above, Colorado Steel mark on the channel of the endpost. Below, a side view showing all four spans. Above, a final through shot of the bridge.